This past June, at my 20 year college reunion, the staff at the Tang Museum at Skidmore College set up a time for me to come in to view my painting "If Nothing is Concealed Then Nothing Can Be Revealed, Yellow", 1997, that lives in their archives. This painting was part of a triptych from my Senior Art Show at Skidmore. It was awarded honors status and then acquired for their permanent collection. 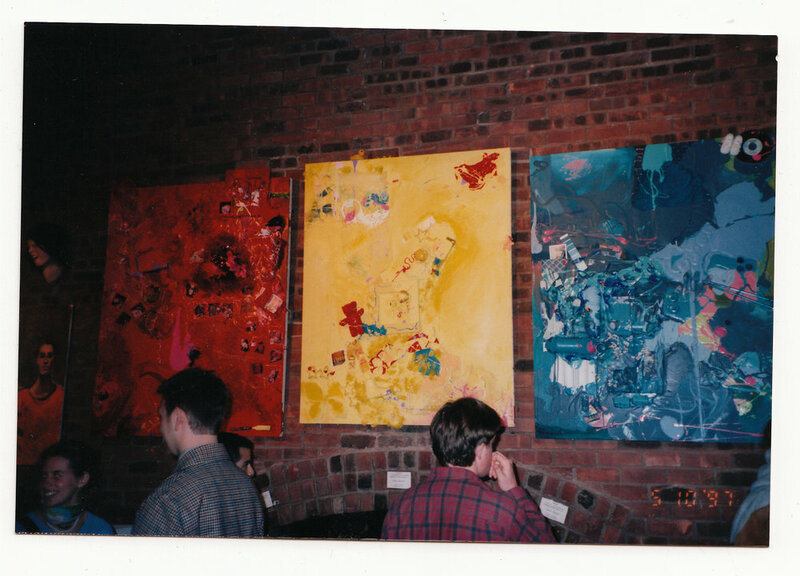 Pictured at bottom is the triptych as it was hung in the Senior Art Show, and my studio space, as it looks today, that it was made in at Skidmore College in the Sasselin Art building.